Greetings from Texas: Viva la Viper! My Uncle Kelly recently did two things in his life. The first thing he did was buy a Viper. The second thing he did was go out of town. Because I was spending the weekend at my uncle's house, I fully supported both decisions - particularly the timing of them. I cleared my whole weekend agenda to make ample time for some Viper cruising. I wanted to be smoking a cigarette in this picture but nobody had one. Unfortunately, however, I learned that the Viper was a stick shift! WTF! I can't drive stick! I can't even really drive manual that well. (Evidence here.) So my visions of me cruising in the Viper were short lived. 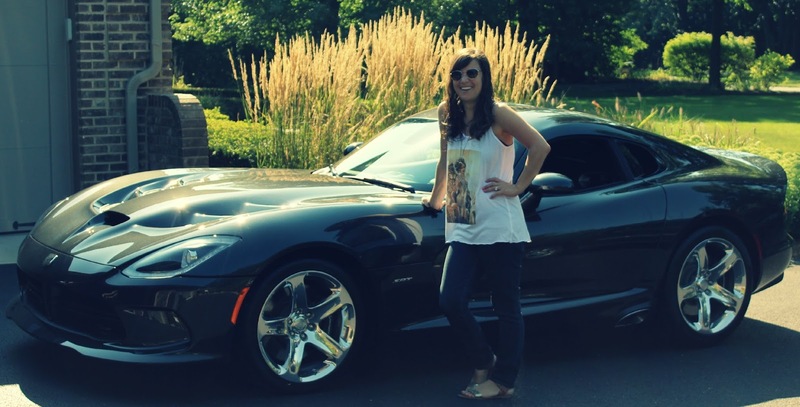 I had to settle with some pics of me and the fancy schmancy car instead. If I'm not back in 5 minutes.....just wait longer! 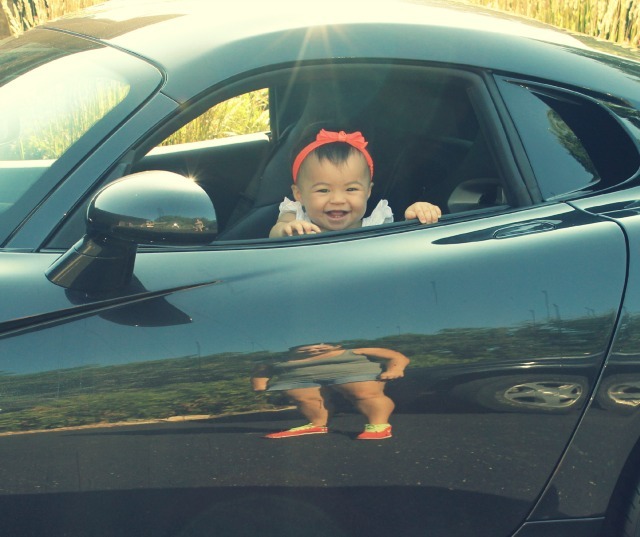 And then we let Macy get in the Viper.......without a diaper................kidding Uncle Kelly!!! I wanted her to be smoking a cigarette too but my Aunt Kathy said no. You're hysterical, and Macy is adorable. Thanks for the post! I hope you sat in it and jammed out some hova? Hahahah dang it Aunt Kathy , that would've been an amazing portrait.